CommonCollection - Polio will not keep Iyaz from teaching and learning his pupils the computer. 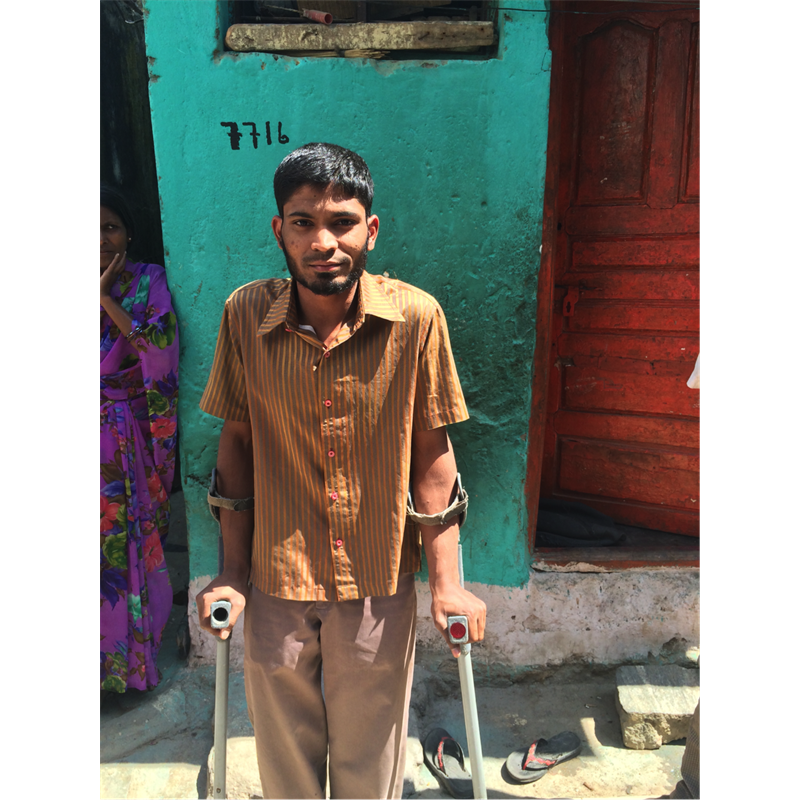 Polio will not keep Iyaz from teaching and learning his pupils the computer. 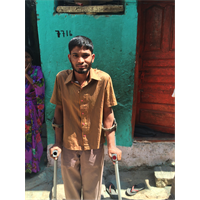 Iyaz might have crippled legs as a result of suffering from Polio, but he is going as fast as he can to make his life as meaningful as possible. Iyaz was very fortunate to have a family whom supported him and helped him get the education that he, as well as everyone else, should get. He goes to University-level and has almost earned a degree in Commerce. He now has a wish to give his family – his mother, father, three brothers and two sisters – the support that he got and is still getting. Today he works as a part-time teacher along with his studies, to maintain the house needs with such a big family. 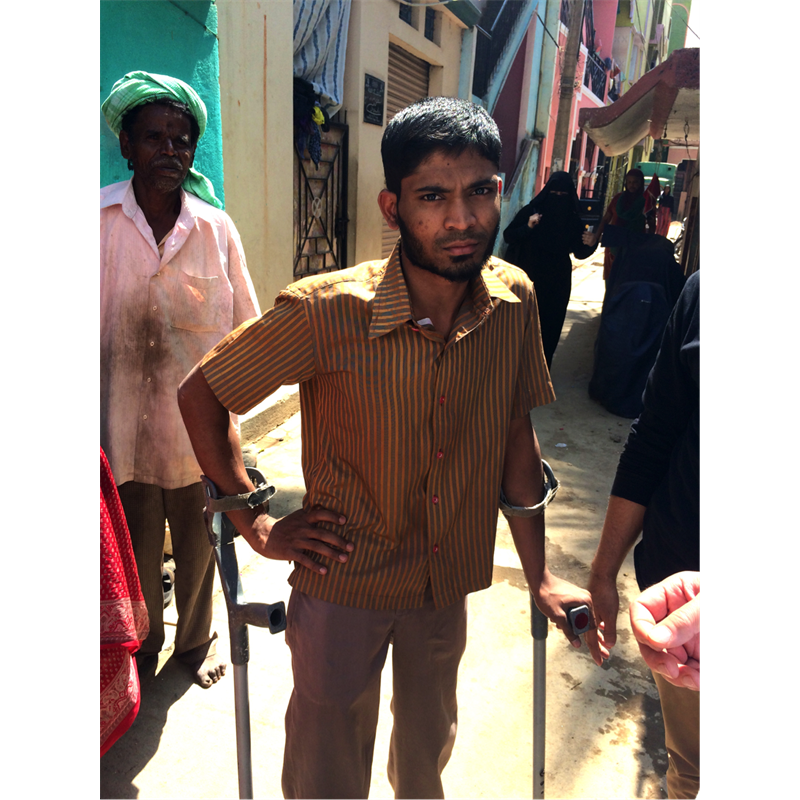 Even though his spirit is tough, hard-working and very focused on making the best out of the opportunities he is given, he still is hurting from Polio. He has figured out that if he can get a computer he will be able to work online with data entry services, teach his pupils about the computer and earn a decent living that will help him support himself and his family, whilst not having to be in pain or suffer from being slowed down because of a physical disadvantage.